The yawara stick is a japanese weapon used in many martial arts. It’s basically a palm stick that was usually made out of wood. Kubotan is just the modernized version of the yawara stick. Both Kubotans and Yawara sticks are close-quarter martial art weapons and we can trace their origins to medieval Japan. Kubotan is actually a derivative of the fabled Yawara stick (the most favored weapon of the Buddhist monks in Feudal Japan). The Kubotan is 5.5 inches long and has a diameter of 0.56 inches. Yawara has a design that is similar to the Buddhist religious object, Vajra. Unlike the Kubotan, the Yawara sticks are much thicker in construction. The unique design of this weapon enables it to jut out from either sides of the palms (while holding it). 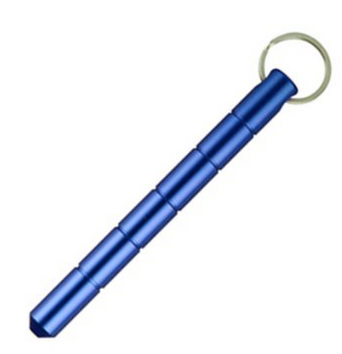 While looking for Kubotan vs Yawara differences, you will find that Kubotan usually comes with a keyring. This enables in concealing the weapon in a very effective way. Besides, you must also never ignore the convenience offered by the weapon when it has a key ring. By all probabilities, you might have come across someone having this weapon and may have thought of it as a fancy key chain! The application of both Kubotan and Yawara sticks is interesting. Targets for both are fleshy regions of the body while applying the weapon. 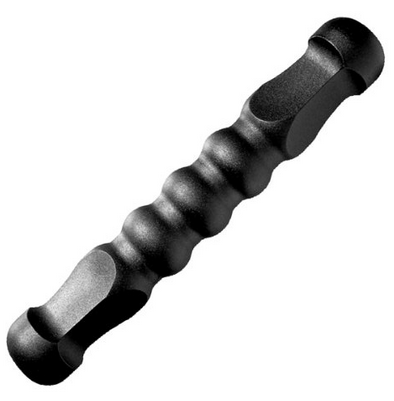 When used effectively, both of the sticks can help in inflicting damages to the bones as well as the joints. It is also possible to use the sticks on pressure points. In other words, these self-defense weapons are highly effective for incapacitating any assailant within a matter of seconds for the skilled person. Is it legal to carry a kubotan keychain or a yawara stick? The experts often teach various so-called ‘compliance techniques’ for efficient usage of Kubotan and Yawara sticks. Law enforcement officials across the nation are already proficient in the proper application of these self-defense sticks. The rules about carrying the weapon vary across the globe. For instance, the UK authorities consider it unlawful to carry these weapons. 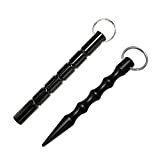 Another aspect that people can find while searching for Kubotan vs Yawara differences is that it is very much possible to apply the defensive tactics even without the presence of these self-defense sticks. A law enforcement official can apply the same strategies to incapacitate an assailant using his or her flashlight. Likewise, a woman can tackle troublemakers by using her hairbrush as a weapon. The history of Kubotan and Yawara stick is equally interesting. 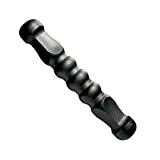 Kubotan focuses on restraining people without causing any kind of permanent injuries. We can find the first application of the same self-defense weapon by 1970s. Instrument of attitude adjustment – this was the phrase used to describe the efficiency of the Kubotan. The same weapon has undergone through various evolutionary phases, which included replacing the wooden stick with aluminum alloys because there are much lighter and easier to handle. As mentioned earlier, the Kubotan is a modification of the Yawara stick initially used by the Buddhist monks for self-defense purposes. The monks used to carry two Yawara sticks at the same time to improve the overall efficiency levels of the martial technique. By the 1940s, the law-enforcement officials began to apply the same sticks for subduing assailants. Yawara sticks are not lethal by itself; however, today you can come across various iterations of the same weapons that can cause permanent damages to different parts of the body. The Buddhist monks also practiced Yawarajitsu – a martial art that makes liberal use of these sticks. Unlike the traditional self-defense weapons, the Kubotan and the Yawara are highly effective in locking the assailant tight preventing them from inflicting any more damage. Some Kubotan have spiked or pointed edges that can cause incredible pain within a few seconds of proper application. Those who have an interest in learning more about the proper use of these self-defense weapons must initially learn more about the critical ‘pain points’ in our body. Flailing is another kind of attack made possible due to the presence of the key ring on the Kubotan stick. Liberal application of these sticks on the tendons and ligaments can also infect vast amounts of pain. Finally the yawra stick is an incredible little tool, that is also fun to learn. Browse the site for more information about applying both the yawara stick or the kubotan techniques in self defense situations. Check out those beautiful wooden kubotans and yawara sticks !